Maybe you lack energy or direction, you’ve lost your spark or you feel stressed all the time…. Or would you like to invite more love, confidence, connection, purpose or inspiration into your life, by unlocking the secret messages from within? If any of these resonate, then our 28 Day Soul Coaching® Program is definitely for you. The program has been created for all of us looking to find our purpose and introduce positive change in any all areas of our life, from relationships to health, to career and much much more. Your 28 Day Soul Coaching® Online Program is dedicated to the clearing and cleansing of all aspects of you and your life, so you are free to uncover your authentic self, and live your life filled with joy and freedom without even having to leave your house. Each journey is unique and will take you exactly where you need to go to enable the most positive transformation for you and your intention for change. As you learn to accept every part of who you are, you will open your life to the joy and wonder of your heart and soul … and miracles really will occur. So What is Soul Coaching? Your 28 Day Soul Coaching® Program is a decluttering and reconnection of your mental, emotional, physical and spiritual life. You will rediscover your past, present, and future to determine who it is you truly want to be and how you can create this. As your Soul Coach, I will personally guide you through your transformation with support and ease and provide you with support throughout to ensure your soul journey takes you exactly where you need to flow. You will explore and declutter your mental (Air), spiritual (Fire), emotional (Water) and physical (Earth ) aspects to create the awakening you desire in your life. Throughout the program, you are provided with daily meditations, affirmations and easy to follow materials for each day. You will have online access to Kyla via email and the option of Skype sessions (for an additional charge) to review the challenges, breakthroughs, and miraculous ‘a-ha’ moments. The program has been created with ‘busy’ people in mind and allows for varied levels of commitment which will not detract from your successes. 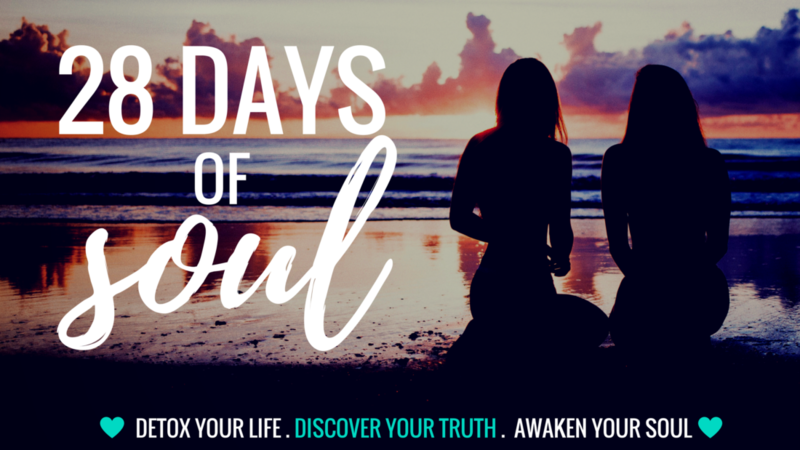 Final Week – Radiate Your Soul with Your Quest – Is an opportunity to reflect and allow the gratitude of your journey to awaken as you spend some time reviewing your amazing journey and deciding where to next …. Add bright colour to your days and magic to your nights. “My day to day exists in a very corporate world of lawyers, accountants, high-rises, meeting and more meetings. To take a month and re-connect every day with the elements of nature around me, and deeply with myself was an amazing experience. The re-fleshing clarity that came to me as quickly as a few days into the program was a sensational experience, I started to take time and feel genuine joy and happiness in, at times very simple moments. All the old negative thoughts of people or experiences I was carrying around have dissolved away and I feel a complete sense of freedom. There are not many people you say were born to do what they do but Kyla was!” Kylie, Client Trainer, Bondi. “Following the 28 day soul journey with Kyla has been a beautiful and transformative experience. It allowed me to investigate areas of my life that I had previously thought I had defined but that I realised needed further work. The 28 day soul coaching journey allowed me to understand myself better and identify ways to move myself towards greater inner and outer happiness and awareness. Kyla is a wonderful and gifted intuitive teacher and healer who was available and ready to support me at any time during this journey. This journey gives you a refreshed perspective on your life, purpose and being. It is a beautiful experience that everyone owes themselves. Thank you!” Kellie, Events Marketing Manager, Randwick. “I could not have desired for myself such an incredible outcome as what the 28 days of soul coaching has given me. Not only has it fine tuned my focus, clarity and the direction I was missing but it highlighted for me desires and intentions that I had long forgotten were important to me and all under the amazing guidance of Kyla Tustin and her beautiful soul.” Marina, Sales Consultant. “This technique is just So Simple, and yet it has life-changing ramifications which took me deeper into myself and allowed my Soul to guide me into a peaceful being. Kyla has this ability as a Soul Coach to help you find this peace, one that you will be grateful to her forever. Just Be and let her guidance and understanding lead you into this bliss as she did for me.” Bonnie, Travel Consultant. Commit today to ‘Elevate and Illuminate Your Life’ by paying below and joining Kyla’s on your 28 Day Soul Coaching® online program and completely transform how you think, feel and live your life today from the comfort of your own home!! Delivery: Online from the comfort of your own home. We also provide individual face to face programs at anytime for an additional cost; please email us if you feel this type of personal journey will suit you better. Price: $397.00 inc. life changing transformation, 2x 30min soul coaching sessions with Kyla, daily accountability emails, 28 daily meditations and affirmations, a comprehensive coaching manual, weekly elemental wall charts, and additional inspirational materials.